I ran across this interesting outdoor display in Reykjavik Iceland this week. 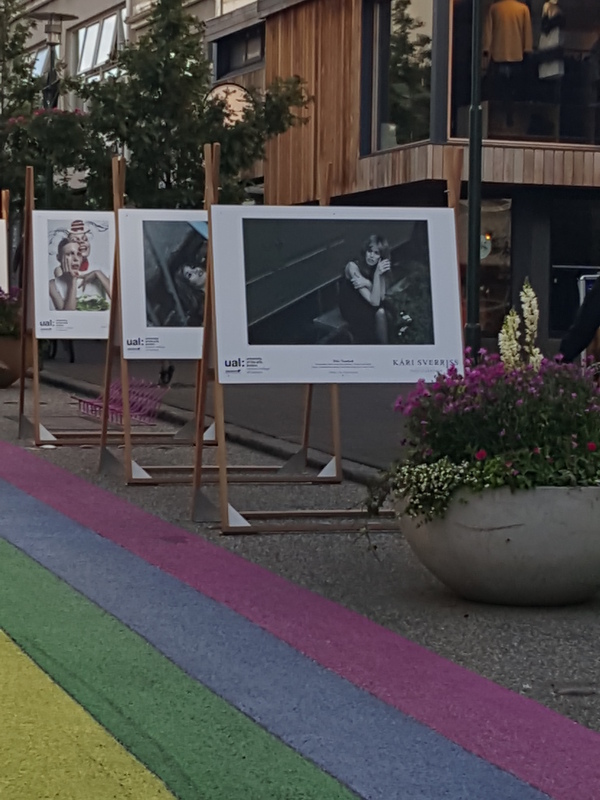 It was an outdoor photography show, with wooden frames holding Dibond panels of the artwork. Nicely done! What’s cool about what they have done is that it works well for a short term show, and the outdoor displays don’t require any bolts or other permanent fixtures. If it’s going to be windy, you can put a sandbag on the feet. One other feature of these outdoor display stands is that they can be moved if you have the need. We’re actually quoting a job with them right now! This entry was posted in Flatbed printing, museum displays and tagged outdoor displays, outdoor signs, outdoor vinyl, photo displays. Bookmark the permalink.